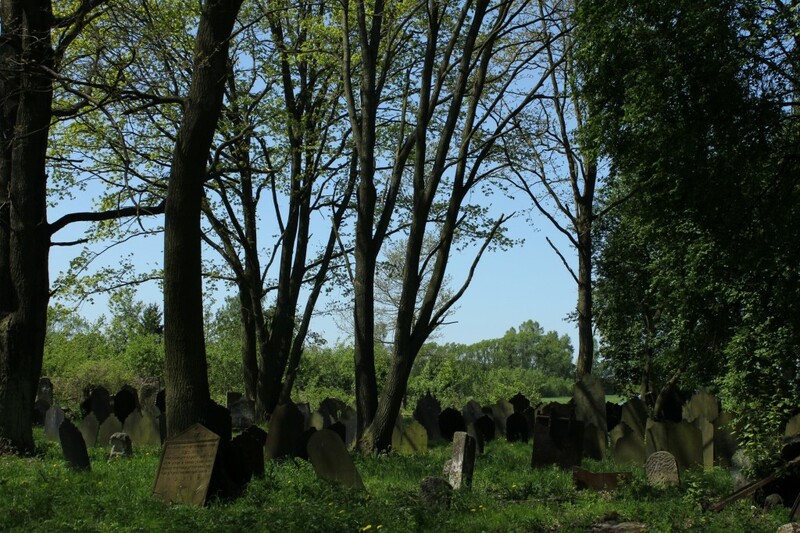 Częstochowa, a small city in central Poland, has one of the longest lists of Jewish Holocaust survivors in Poland. Thanks to the activities of World Society of Czestochowa Jews, the story of its Judaic population is very well documented. But what about the past life of tens of small shetls located nearby ? Who cooked the best gefillte fish in Radomsko, where was Klobuck rabbi’s house and who was the richest man in Zawiercie ? 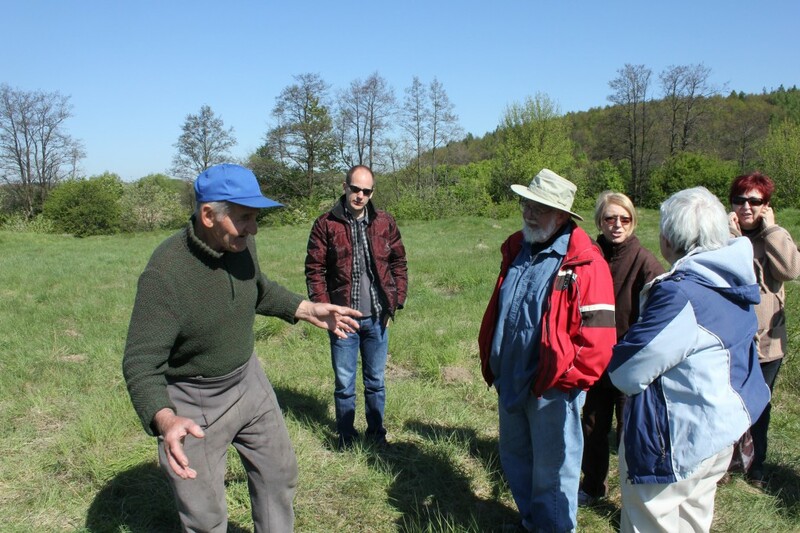 In May 2011 I was a guide of a wonderful group of Canadian Jews who decided to trace their family history in Częstochowa Region and come to Poland for an intensive tour. First we went to Kłobuck, where the only visible Jewish trace is one broken matzeva in the former burial ground at Sadowa Street. The cemetery, once one of the biggest in the area, now is just an owergrown orchard. According to a person living nearby, the gravestones were used by the Germans to set up barricade against the Red Army tanks approaching Kłobuck in 1945. 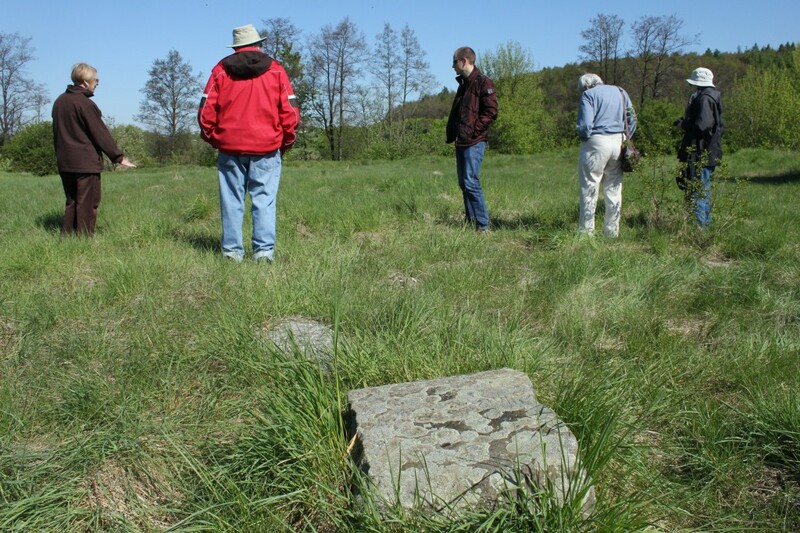 Another story tells that groups of local Jews were shot by the Nazis on the kirkut area – the location of the mass grave is still visible. After a short visit we followed peaceful side roads along the farmlands and came to Krzepice (yid. Kshepitz). There we met Romuald Cieśla, amazing self-instructed artist and activist, who devoted 30 years of his life for preserving the Jewish heritage and memory of the town. The apple in Cieśla’s eye is Krzepice kirkut, that has a stunning collection of iron matzevot. Thanks to a group of Polish and Israeli students every surving tomb was recorded – after 20 minutes of searching we were able to locate a family grave that we were looking for. Many tombstones though did not survive the war and postwar destruction. population never came back to their ruined shtetl. The next day we went to Mstów (Omstov), a microscopic town located at the foothills of Wancerzów monastery. Our arrival at a local kirkut aroused interest of many locals, who helped us to find the remaining matzevot and told us wartime stories about the town. While strolling through the cemetery we were visited by one of the oldest people in Mstów, Zdzislaw Sarara, who came to meet us on … bicycle. Told us stories about Jewish weddings and funerals seen with the eyes of Christian child. 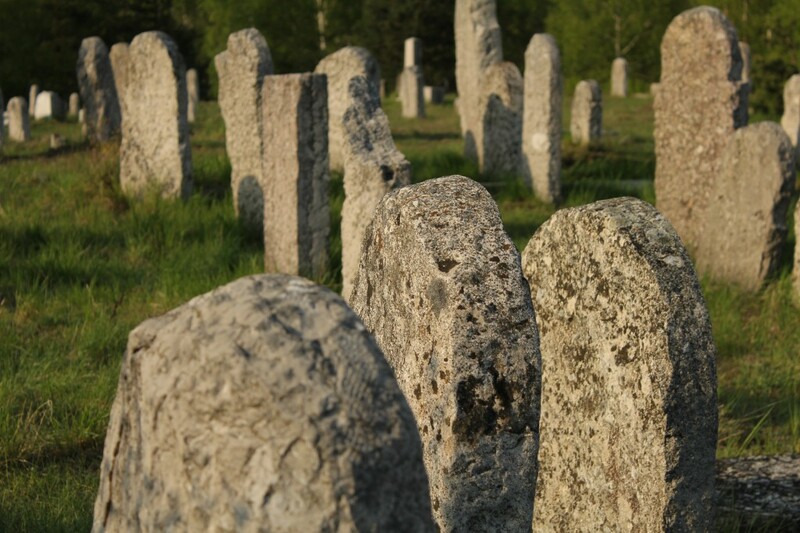 Sarara mentioned also about the Nazi destruction of the synagogue, tombstones thrown into the nearby Warta river and the subsequent devastation of the cemetery by the Poles, who found the smashed stones being very useful – in the times of postwar poverty matzevot were used as hand-mills. The only place on our tour where the Jewish monuments seemed to have been well preserved and exposed was Żarki (Zharki). 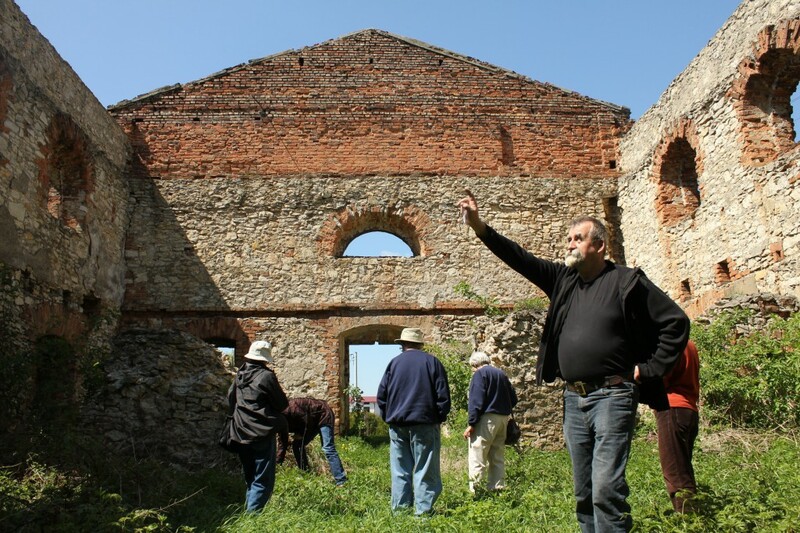 The local authorities created a Jewish Culture Trail covering impressive cemetery, backstreets with prewar Jewish houses and a stunning synagogue being currently rebuilt into a culture centre. 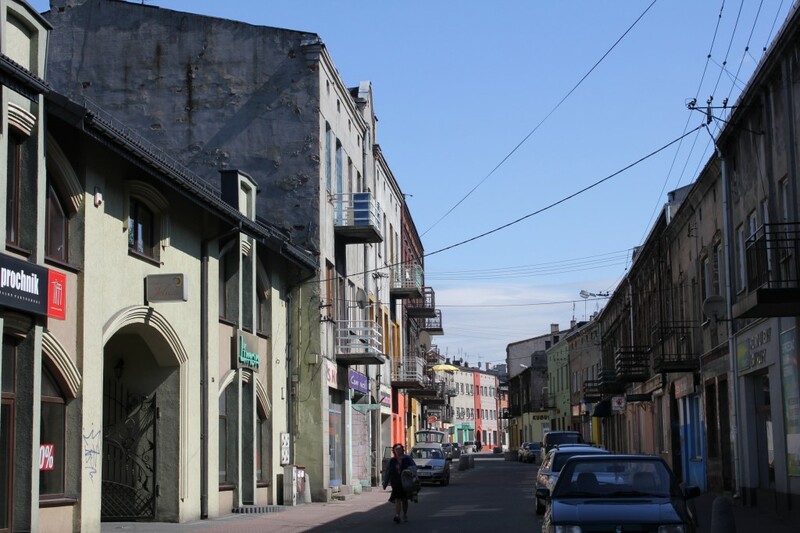 The biggest town on our way was Zawiercie – sad and unkempt chlid of The Industrial Revolution triggered once by the Jewish and German industrialists. The glory of Zawiercie is long gone now, there are some places worth seeing there, though. 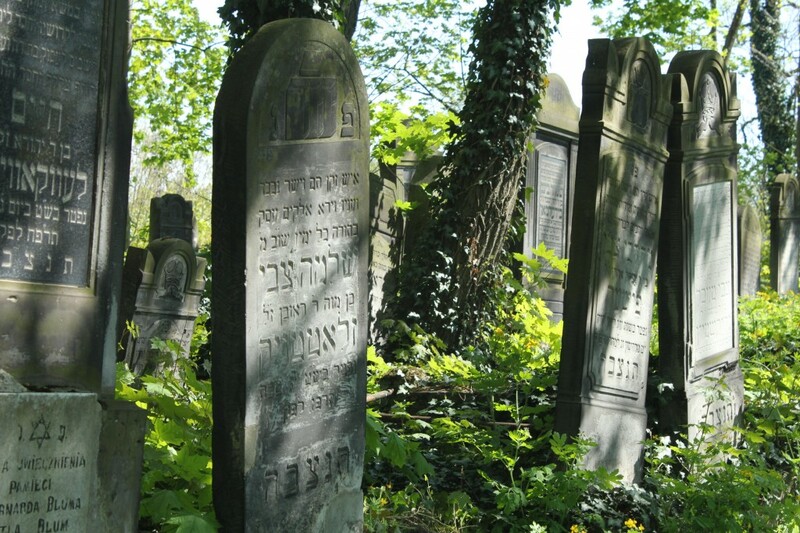 As we were focused on Judaic traces the main highlight of local tour there was, again, the cemetery. 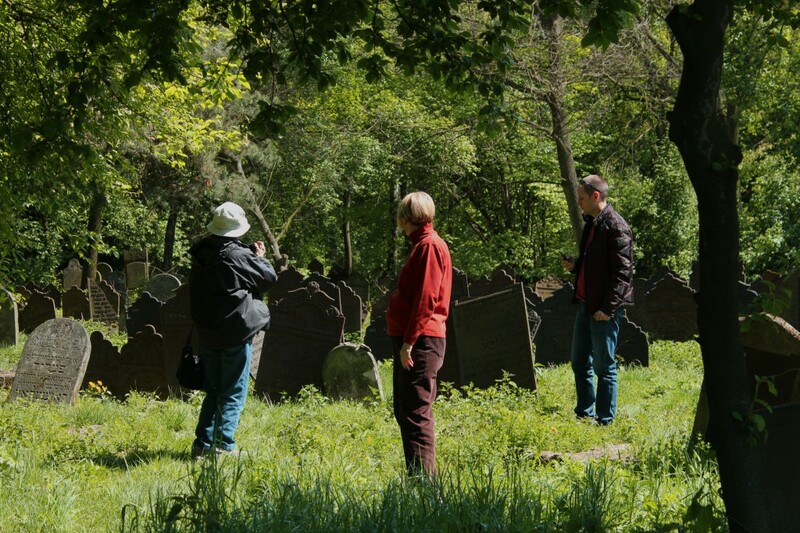 Thanks to the help of Michał Oleś, town council clerk, we were able to enter the burial ground at Daszynskiego Street and admire its intact beauty.